grouser (Ludlow, United Kingdom) on 1 October 2018 in Plant & Nature. Jolie photo, l'abeille se régale. 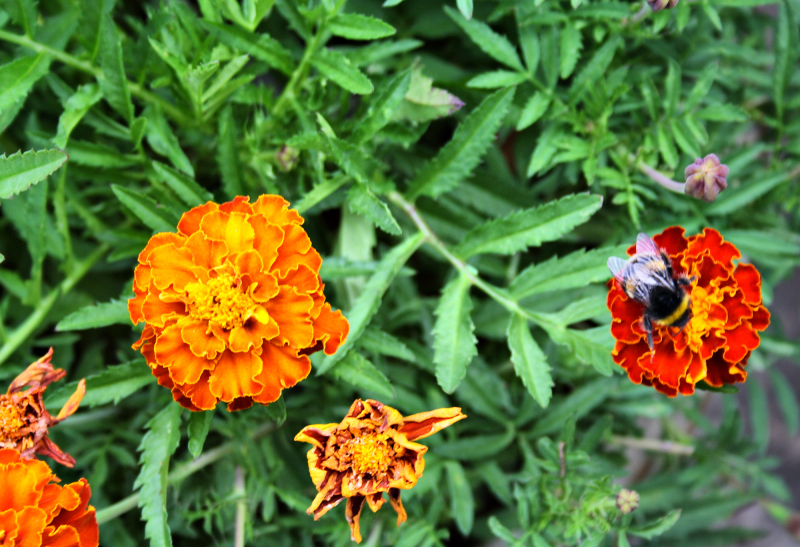 Very nice look at the Marigold and the bee doing a great job. Trying til the very end as Fall sets in to get the last of the pollen!! Gorgeous colours and a perfect overhead POV for this frame. I love it. A very colorful image. I love the bright colors that marigolds have. A great capture of the hard working bee. Beautiful colors and capture of the bee. Well spotted and captured. It's almost as if the bee has sucked the bright light out of that particular marigold and left it bleeding!